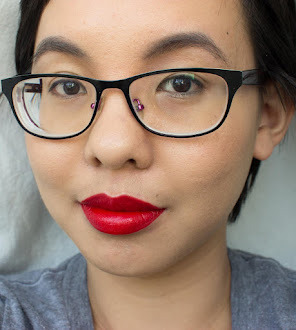 I got my first taste of Hourglass Cosmetics in the Sephora Favorites 'Give Me Some Lip' Set (swatches and review) and though I decided to return the set, the Hourglass Extreme Sheen Lip Gloss in the set was my favorite. Cruelty Free? I noticed that they mentioned that they do not test on animals and the product says it is not tested on animals so I believe they might be. Price: $28.00 for 5 grams/.17 oz. No doubt, this is a splurge but look at the color and you might be drawn in enough to purchase it. You can be like me and get it during a sale so it's not so harsh on the wallet. 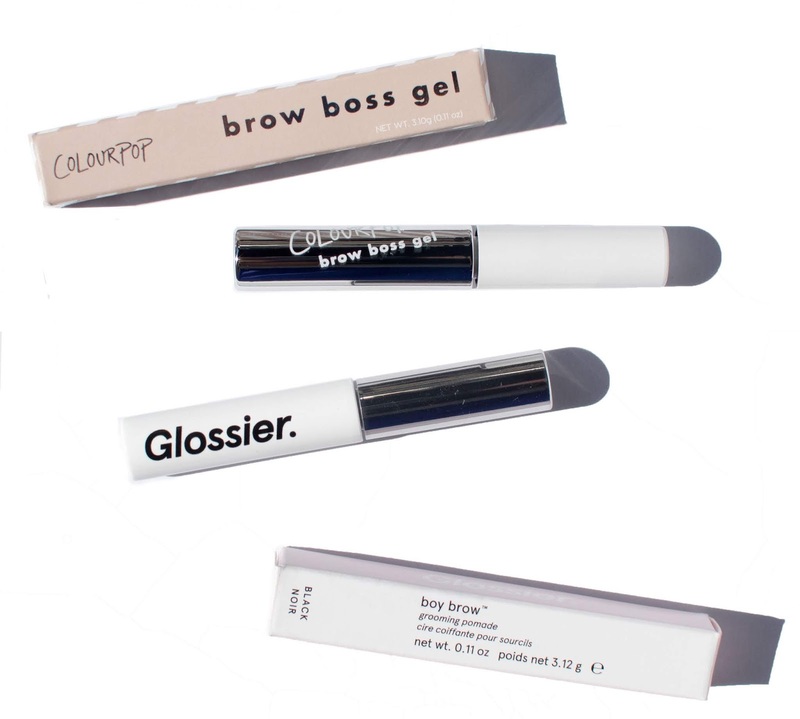 Packaging: Flattened sleek tube with a doefoot paddle applicator. The paddle is quite flexible at the end and combined with the longer wand, it can err on the side of floppy. Much like how the tube is flattened, the doefoot is flattened with the sides cut flat at the lower 3/4s. Product Description: "Pure pigment, pure shine, pure luxury: this intensely-hued super lustrous lipgloss is formulated with active ingredients that hydrate and restore lips for an immediately soft and smooth effect"
Siren is described as a "metallic red" and damn is it a perfect warm metallic red. It's not a straight metallic red (the way Irony from Portland Black Lipstick Company is) as it has a copper sparkle that lends it more warmth and multidimentionality on your lips. The copper sparkle picks up so well in the sunlight, I got a compliment on the color when I wore it to school. This may be $28.00 but I urge you to get the color. Metallic red? I mean come on that's gorgeous. I will say though that it needs two-three coats to get opaque coverage so you have to work a bit to get the coverage you desire. It was much easier to get opaque coverage on the lower lip and required more precision on the upper lip. The formula is so glossy, the way it lays on your lips makes it look like you're wearing a clear gloss over a bright metallic red lipstick. The gloss just shines so well on top of the metallic finish. The product feels like a lip creme, thin creamy, and slightly tacky on the lips. There is a downside though and it is unfortunately the scent. It's got quite the sweet vanilla scent; if you're familiar with the NYX Soft Matte Lip Creams, then you'll know what they smell like because it's the same. I'm usually pretty particular about scents in lip products (light vanilla or mint please!) and it can be a deal breaker but I just look at the color and hold my nose. When it comes to wear time, I wore it for about four hours and noticed feathering after that so I didn't wear it for longer than that. Disclaimer: I purchased this product myself. All opinions are my own. This post contains an affiliate link (marked with a *)that gives me a commission based of your use of the link. Feel free to use your own nonaffiliate link! lol ! I knew it was Siren before this post. Thats how much I want this lipcolor! Haha yes, I think it's slowly but surely becoming a distinctive color! I've seen a lot of great swatches from Hourglass. This seems like a lovely color that just screams "Fall" to me. It looks great on you! I think it's a nice change from a typical red lip while not being one of the plummy/wine colors. Thanks! oh wow! that is an AMAZING COLOR on you! WOW, that is a flipping GORGEOUS color! I need it now lol.